'The Boondocks,' which is set in an animated world, last aired in 2014, yet it tackled issues that currently arise in our society. 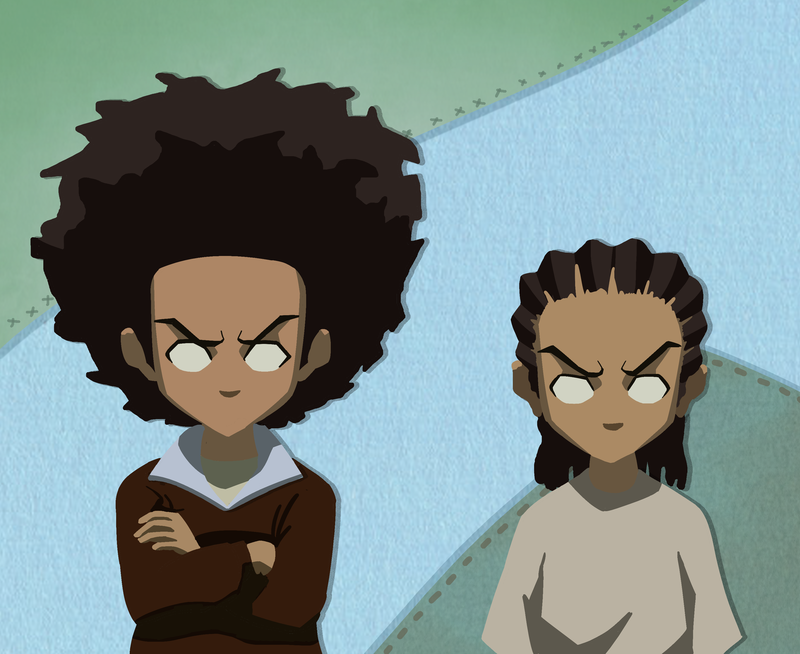 In the show, Aaron McGruder discussed the interactions of Huey and Riley, two African American brothers, and their grandad, highlighting overarching societal conflicts through family conflicts. Good storytelling itself is an arduous task. The ability to balance humor, seriousness, and character development and establish a connection between characters and the audience is special. Incorporating and referencing real events, though, whether it be about our culture, our society, or our government, is a polarizing, even more formidable task. However, Aaron McGruder, creator of the prominent comic strip and television series “The Boondocks,” has mastered these elements in storytelling. This is evidenced by the fact that the issues highlighted and addressed in the series are still relevant today, even with the final episode having aired in 2014. With loads of great humor, quirky moments, and recognizable references — anime fight choreography, modern hip hop culture, and satirical references to real life events — the production represents the best in modern television. The story follows an African American family: two brothers, Huey and Riley, as well as their offbeat grandad Robert Jebediah Freeman in Woodcrest, Maryland. With both Riley and Huey antagonizing their grandad, the show creates commentary through the interactions between the boys, their grandad, and society. The trio and their actions drive the series; Huey acts as the voice of reason, Riley somewhat embodies black street culture, and the grandad is eccentric yet retains an urge to take care of the boys. Nevertheless, what makes “The Boondocks” stand out more than any other series is its unapologetic nature to dive into and criticize black culture and the comportment of white people in America. From cultural appropriation to confronting criminal African Americans, “The Boondocks” doesn’t spare any subject from airing. The second episode “The Trial of R. Kelly” is a paragon of this willingness to submerge into controversial subjects in storytelling. The main theme of the episode is that even though a lot of African Americans get arrested in the United States for fallacious charges, some of them — such as R. Kelly — have committed malfeasance and should be held accountable. In McGruder’s words, “not all of them are Nelson Mandela and R. Kelly is not an exception.” This notion still stands in today’s world whenever a famous (and notably black) artist or influencer is arrested. Despite the circumstances of the arrest, many fans feel the artist or influencer was unfairly singled out because of their race. A more recent and notable example of this ideology was during the trial of Bill Cosby. After being accused of sexual assault in 2005, Cosby was recently convicted and is currently serving a three to 10 year prison sentence. Even though over 50 women have accused him of assault, his lawyer has asserted that the trial was “the most racist and sexist trial in the history of the United States.” The episode originally aired in 2005 yet is an example of how the message is extremely relevant to today’s world and the lengths that McGruder was willing to go to in order to craft a good story. McGruder continues to draw parallels to society through storytelling in Season 2 with “Home Alone.” When both brothers are left home alone, Riley spends all the money their grandad left for them on clothes, prompting Huey to ground his younger brother and refuse to let him leave the house. This leads to a lot of physical contact between the brothers with Huey beating and outsmarting Riley when they fought. Huey’s chastising of Riley drew a simple but powerful contrast between the way African Americans and other races are portrayed to spend their money. This issue is still fitting to today’s society because, after all, there are still people who’d rather buy Gucci Flip Flops than pay their rent. Even so, this type of assessment was not just held towards black people; important issues were also expressed through characters themselves as the story progresses. In particular, Cindy McPhearson, a white child in a predominantly black neighborhood, is the most notable character for her cultural appropriation of black people. From her obliviousness of racial issues to the way she carries herself in public areas and her treatment of other people, it appears like she tries to pretend to be someone that she isn’t. This is visible when Cindy’s actions seem random or out of character in the moment — she hit and beat a girl for buying her rival’s Girl Scouts cookies instead of her own while calling her derogatory names and later yelled “I wanna go home!” during a gunfight between two rival mobsters in season three. All these characters may be from a fictionalized universe, but they share a significant attribute: the events that Huey, grandad, and Riley discuss are real. Whether it’s how minorities are portrayed to how they spend money to the way that people treat celebrities in legal trouble, these situations are in our everyday society. The television series has always acted as a mirror on today’s world and how society expresses itself. Through top-notch writing, animation, and humor, it has stood triumphantly through the test of time. 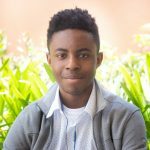 The Boondocks will be remembered as a testament to McGruder’s ability to convey impactful stories and messages to his audience.